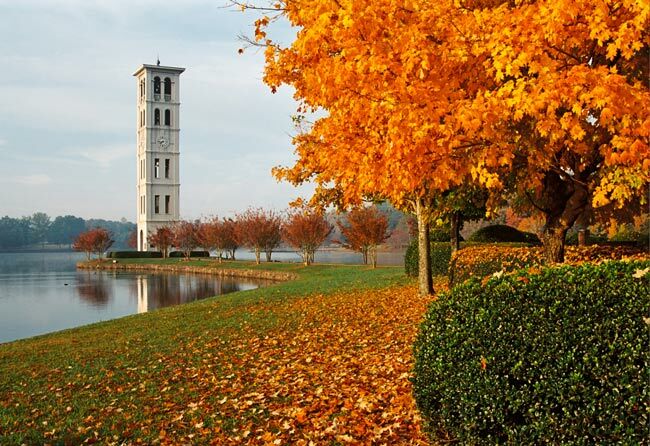 Furman University, founded in 1826, is one of South Carolina’s oldest colleges. The school was named for the Reverend Richard Furman, a prominent Baptist minister in Charleston who was responsible for the initial groundwork and establishment of the college. Reverend Furman originally hailed from New York and had also served the High Hills Baptist Church in Stateburg. He came to Charleston in 1787 and led First Baptist Church of Charleston from that year until his death in 1825. He also served as the first president of the South Carolina Baptist Convention, founded in 1821. The university has had three different homes in South Carolina, its first being in Edgefield where it was founded as an academy and theological institute. In 1851, it became a university and moved its campus to Greenville. 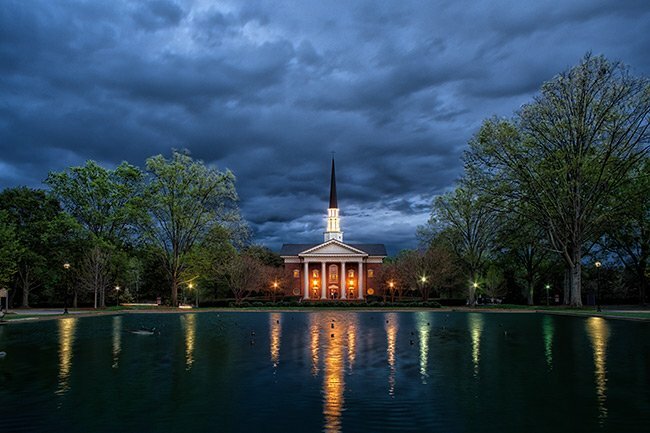 Furman’s theological institute broke away from the academy in 1858 and became the Southern Baptist Seminary, which is now located in Kentucky. Furman University merged with Greenville Woman’s College in 1938 and began construction on a larger campus north of Greenville in 1953. 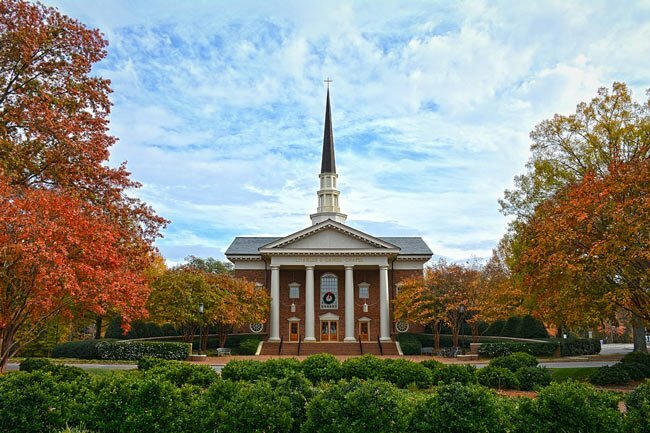 Furman severed its formal ties with the South Carolina Baptist Convention and became an independent university in 1992. Today, Furman offers a wide variety of majors, but it has always been a liberal arts college first and foremost. This proud university has produced some of our most successful American citizens including two governors, two U.S. Congressmen, 17 Truman Scholars, six Rhodes Scholars, a Nobel Laureate, and a Pulitzer Prize winner. Furman University’s mascot is a knight on a horse. The athletic teams are called the Paladins, which is defined as a “paragon of chivalry; a heroic champion; a strong supporter or defender of a cause.” The nickname was first used by a Greenville sportswriter in the 1930s who used the word “paladin” to describe Furman’s basketball team. The student body voted in 1961 to make the nickname official. The university is also known for its exquisite campus. 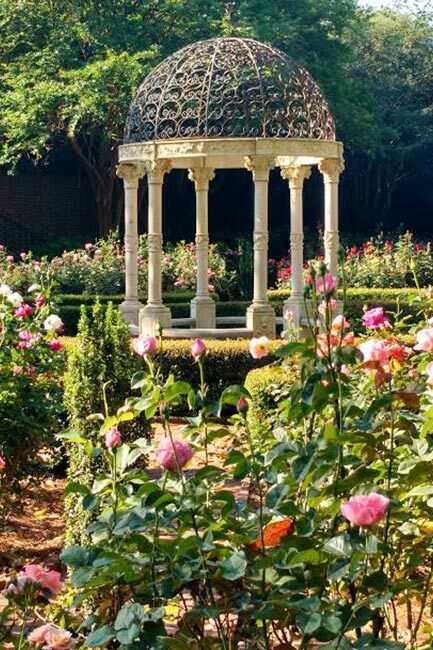 Below is the nineteenth-century iron gazebo that adorns the Janie Earle Furman Rose Garden. 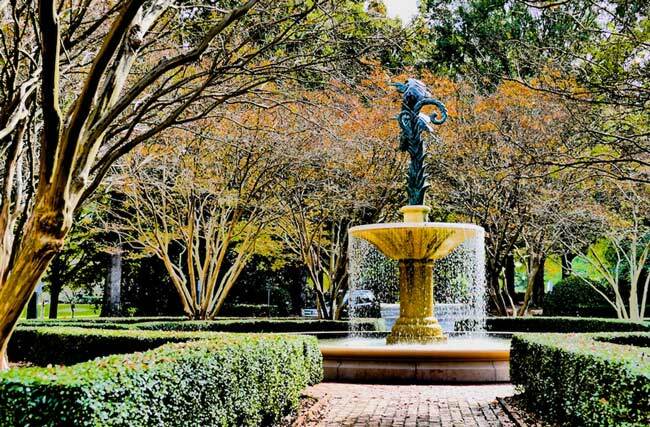 The garden is named for Janie Kennedy Earle Furman, who along with her husband, Alester G. Furman Jr., endowed an annual award for meritorious teaching at Furman University in 1969. 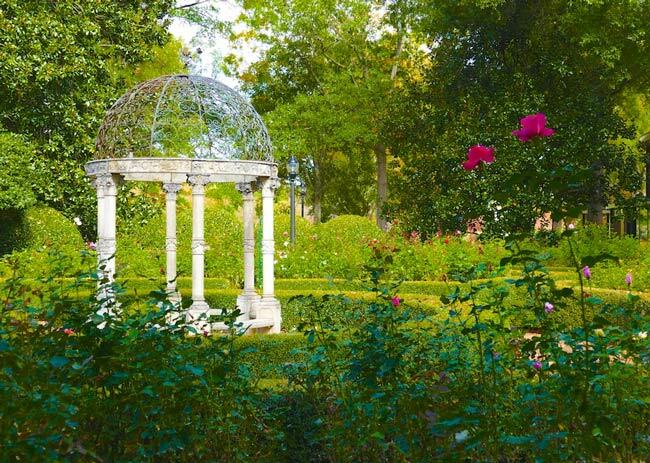 The rose garden boasts 21 varieties of roses and more than 800 bushes along with the above gazebo and a fountain, seen below. Not only are students able to enjoy the beauty of these flowers while walking from the Daniel Dining Hall to class, but the garden is also a popular wedding venue for alumni and others who appreciate the elegant intimacy of the setting. Below is the James Buchanan Duke Library, one of five libraries on Furman’s campus. The others include Sanders Science Library, Maxwell Music Library, Special Collections and Archives, and the Digital Collections Center. The Duke Library serves as the main library, with over 600,000 volumes and a 24-hour study center. The library opened in 1956 and is named for James Buchanan Duke of the Duke Endowment, of which Furman University is a recipient. The endowment was begun in 1924 with $40 million; to date, more than $3.4 billion has been awarded in areas including higher education, health care, and child care. Paris Mountain stands in view of Daniel Chapel (pictured below). The campus chapel was built in 1997 with funds donated in honor of its namesake, Charles Ezra Daniel. A construction industry magnate, Daniel donated buildings on several college campuses and was especially fond of Furman. His former home, called White Oaks, now serves as the house of the university president. Though it is a newer addition to the university, Daniel Chapel bears a couple of historical elements. Not only is the lectern of Daniel Chapel a replica of the one at First Baptist Church of Charleston, the chapel cross is made from rafter beams that once graced the Holy City church associated with the Reverend Furman. Below is the alumni house, known as Cherrydale. 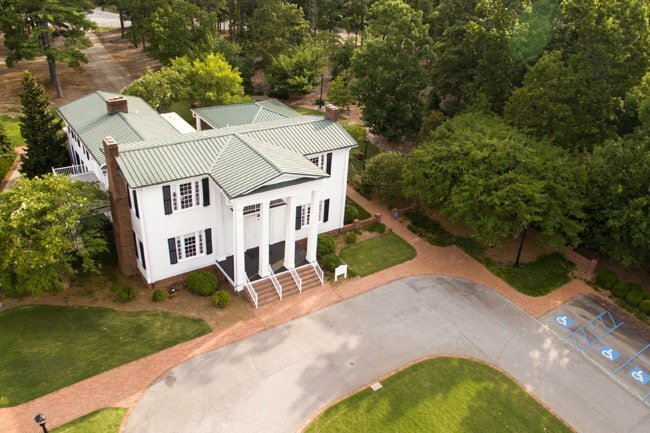 The nearly 5,000-square-foot home was established as the Furman Alumni House in 1999, though it has been linked to the university since becoming the summer home of Dr. James Clement Furman, the university’s first president. It was likely built around the late 1840s or early 1850s for George Washington Green, who sold the home to Dr. Furman in 1857. Dr. Furman retreated to Cherrydale throughout his career and lived in the home full time following his retirement in 1881. The home changed hands several times in the twentieth century, and it was last owned by Umbro International. 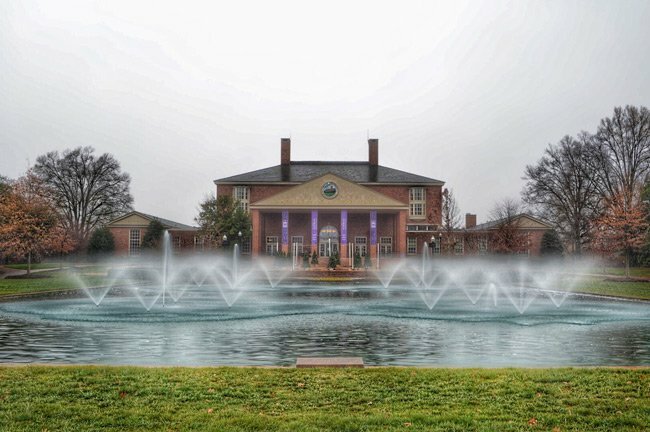 When Umbro donated it to the university in 1999, the home had to be moved three miles from it original location near Paris Mountain to the Furman University campus. The Cherrydale Alumni House can be rented for private events. 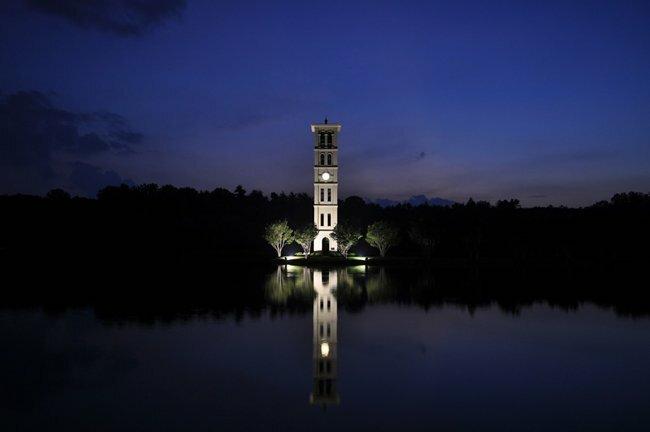 See more photos of the Furman Bell Tower. Thank you so much, Vaughn! We will correct it above, and we really appreciate your taking the time to let us know. Lovely photos. The date on the construction of the chapel above is incorrect (“1992”). It was constructed and dedicated in 1997.